John Duffy is the Samuel H. McCoy II Professor of Law at University of Virginia School of Law. 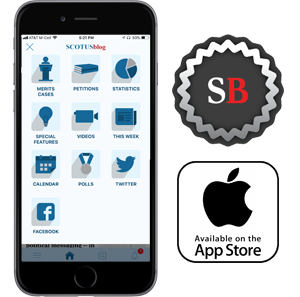 Although Alice Corp. v. CLS Bank was identified by this website and many other commentators as a major case on patent law, the Supreme Court’s unanimous resolution of the case does little to change, or even to clarify, pre-existing law. The case becomes the fourth Supreme Court decision since 2010 to hold patent claims invalid based on judicial exceptions to patentability. While Alice Corp. is only an incremental addition, the continuation of that larger trend is hugely important because, as the Court itself acknowledges, the judge-made doctrine in this area has the potential to swallow all of patent law. Obviously, “settlement risk” is a significant problem. Parties to a financial transaction don’t want to perform their end of the bargain only to have the other side default. I’d hate to give up my dollars and get no yen in return! Settlement risk is, however, also a very old problem, and one very old solution to this problem is to use a trusted intermediary to assist in settlement. Indeed, the intermediated settlement is such an old solution that the Supreme Court was able to cite a book from 1896 – that’s right, from the nineteenth century (!) – that accurately described the basic process. Alice’s patents can be accurately described as falling into a common category of questionable patents that take an old practice and update it with the addition of computerized techniques. The problem with such patents is that such updating is often very, very easy to do. Imagine, for example, as soon as the telephone was invented, someone applied for a patent on the process of ordering goods using a telephone call (as opposed using the mails). The text of the Patent Act has a specific doctrine that is precisely tailored to preclude such patents. Under 35 U.S.C. § 103, a patents may not cover “obvious” extensions or combinations of pre-existing technologies. If the Supreme Court had invalidated Alice’s patents using the obviousness doctrine in Section 103 of the Patent Act, almost no one would think twice about the decision. The difficulty – and the real root of the controversy here – is that the Supreme Court is not relying on any language in the Patent Act as the basis for its decision. Rather, the Court in this case (and in its three prior cases in the last four years) has been relying on doctrines that, as the Court stated four years ago in Bilski v. Kappos, “are not required by the statutory text.” In other words, they are judge-made exceptions to patentability. Now at this point, anyone not steeped in patent law might justly wonder: “why does it matter whether Alice’s patents are invalidated under judge-made exceptions to patentability rather than a specific statutory doctrine such as the obviousness doctrine?” The answer is that it may – and I emphasize here may – matter quite a bit both theoretically and practically. Here are four reasons to think it matters. First, as a theoretical matter (and since I’m an academic, I’ll start with the theory), it is highly interesting that this Court has embraced and expanded judge-made exceptions to patentability. A majority of Justices on this Court purport to be textualists in matters of statutory interpretation, and yet in this pocket of federal statutory law, even the textualist Justices seem to think nothing of allowing judge-made exceptions to patentability to steal the show from the doctrines written into the Patent Act by Congress. 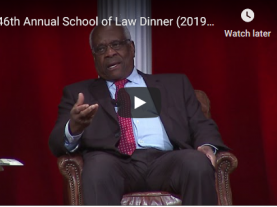 Indeed, the decision was written by Justice Thomas, one of the most conservative members of the Court and, in other contexts, one of the Justices most likely to stick closely to the text of a statute. It is an ongoing mystery as to why the textualist Justices have been so willing to interpret these judge-made exceptions liberally and expansively. Second, the practical difference between the judge-made and statutory limitations on patentability could be enormous. While Alice’s patents seemed to be a rather obvious application of fast, modern computers to automate very old methods of intermediated settlement, the judge-made exceptions to patentability are not limited to such situations. If you want to know what’s important about this case, it’s right there: the Court’s acknowledgement that the judge-made “exclusionary principle” has the potential to “swallow all of patent law” because “all patents” are at some level based on the very things that can’t be patented under the judge-made doctrine. If you are a patent holder, that’s more than just a bit worrisome. If you are opposed to patents, it’s cause for dancing in the streets. Third, there’s the enormous uncertainty associated with the judge-made doctrine in this area. Given the Supreme Court’s explicit acknowledgment that the judge-made exclusionary principle to patentability could swallow all of patent law, one might think that the Court would be very careful, and very clear, in demarcating a limit on the doctrine so that lawyers and lower court judges would know which patents should fall, and which should survive, the analysis. Yet the Supreme Court has been remarkably resistant to providing clear guidance in this area, and this case continues that trend. For example, on the crucial question of what constitutes an abstract idea for purposes of the judge-made exclusion to patentability, the Court’s opinion here explicitly states that it will “not labor to delimit the precise contours of the ‘abstract ideas’ category in this case.” Instead, the Court merely holds that there’s “no meaningful distinction between the concept of risk hedging [held unpatentable] in Bilski and the concept of intermediated settlement at issue here.” That may be fine for today, but tomorrow the lower courts and the Patent Office will have to “labor” – and labor mightily – to try to figure out the precise contours of the category. I’ll have to teach this “enough” test next semester. I’ll be sure to use italics, just like the Court did, but I’m not convinced that even with the different font, the enough test will give much guidance to my students, or to the lawyers, judges and Patent Office officials who will have to apply it to numerous other situations. Indeed, if this is the type of guidance the Court intended to give, one might fairly wonder why it granted certiorari in the first place, especially given that the Federal Circuit had reached the same result below. International considerations provided the fourth and final reason why this line of cases is important. While these cases involve only U.S. law, other countries often look to U.S. doctrine in fashioning their own patent law. Some of those countries may not be pre-disposed to supporting patent rights, especially patent rights held by foreign patentees. Those countries might be quite willing to embrace, vigorously, a judge-made exclusionary principle that has the acknowledged capability to “swallow all of patent law” if judges and other decision-makers do not “tread carefully” in applying it. More than anything else, that message seems appropriate in the wake of this case. Both sides on the battle over the reach of judge-made exceptions to patentability looked upon this case as having the potential to deal a knock-out blow to the other side, or at the very least, to demarcate some lines dividing the patentable from the unpatentable. The Court chose not to provide such guidance. The war will go on.